This page collects resources on the Patient Protection and Affordable Care Act (ACA) selected by WVLS staff for the consideration of patrons and library staff who want to learn more about this law, its effects and how to participate. Information and history below. To suggest additions, please contact Anne Hamland at ahamland@wvls.org. Open enrollment begins Nov. 1 and ends Dec. 15. Wisconsin residents must enroll before the end of that six-week period. Consumers who can’t access the internet or don’t want to enroll online can do so by phone by calling (800) 318-2596. 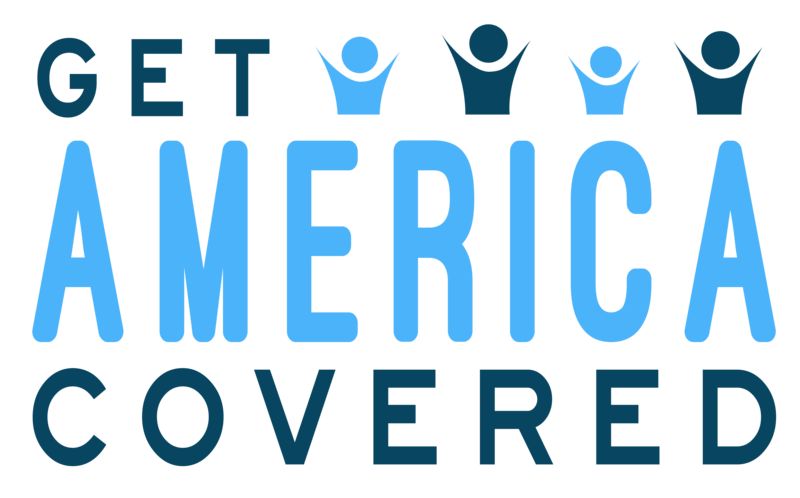 COVERING WISCONSIN connects Wisconsin residents with appropriate insurance coverage and other programs that support health, and to promote effective use of these programs. The Affordable Care Act requires most U.S. residents to obtain some form of health coverage or face a penalty next time they file their income taxes. The fine doesn’t apply if you were uninsured for two months or less. Some consumers qualify for health care exemptions detailed here. According to the October 27, 2017 Wisconsin State Journal: Premiums for individual coverage at healthcare.gov will increase an average of 36 percent in Wisconsin next year. But tax credits received by about 81 percent of the 240,000 or so residents who buy such insurance are going up accordingly. “It’s very important for people to log in to healthcare.gov, see what your plan choices are for 2018, and what they cost, and make the choice that’s best for you,” said Karen Pollitz, a senior fellow at the Kaiser Family Foundation. “Virtually everywhere, the premium tax credit will absorb the rate increase for people who are eligible for tax credits,” Pollitz said. In Wisconsin, assistance is being scaled back but remains available, said Donna Friedsam, director of Covering Wisconsin. People wanting help can call 211 or go to www.coveringwi.org. Digital Lites blog post “Affordable Care Act Enrollment for 2018 is November 1- December 15” published November 1, 2017 by Kris Adams Wendt. In March 2010, President Obama signed comprehensive health reform, the Patient Protection and Affordable Care Act (ACA), into law. Created by the Affordable Care Act, Health Insurance Marketplaces, also known as Exchanges, will be are set up to facilitate a more organized and competitive market for buying health insurance. Since Wisconsin has declined to accept federal funds and set up a state sponsored exchange, the federal government has assumed full responsibility for running a health insurance exchange in Wisconsin. See HealthCare.gov below. Wisconsin’s decision to adjust the state’s Medicaid program to cover adults only earning up to 100 percent of the federal poverty level ($11,490 a year for a single person) will require those living above it to enter private insurance exchanges. For information on Wisconsin Health Care Programs including BadgerCare Plus, Wisconsin Medicaid, and prescription drug programs see ForwardHealth (Wisconsin Department of Health Services) below. As key providers of information, Internet and digital literacy resources, libraries are encouraged to respond to ACA related information requests in the way that makes the most sense for their local communities. Libraries and library staff are not be expected to become ACA experts, but rather empowered with knowledge of available resources to which their patrons can be connected. No federal or state funding has been allocated to public libraries to assist with enrollment. Librarians have long served as facilitators of reliable and accurate information when it comes to consumer legal, health and financial questions. Similar to the annual distribution of federal and state income tax forms, libraries provide access to the tools for ACA enrollment, but librarians are not be trained to provide specific advice to individuals in the selection of a plan. These resources have been selected by WVLS staff for the consideration of patrons and library staff who want to learn more about this law, its effects and how to participate. H.R.4872 makes a number of health-related financing and revenue changes to this bill. Read together, this bill and the health care-related provisions of H.R.4872 are commonly referred to as the Affordable Care Act (ACA). Covering Wisconsin Connects Wisconsin residents with appropriate insurance coverage and other programs that support health, and to promote effective use of these programs. Resources include how to find local help, how to use insurance, and “How-To Sheets” including quick guides and answering basic questions. Get America Covered Scroll down the home page for website’s best feature: “FIND LOCAL HELP” searches by ZIP code within a customer selected mileage range for places where consumers can consult with local application assisters. The “Take Local Action” tab leads to a variety of printable information in different languages about the open enrollment period, as well as social media graphics. AARP Healthcare Reform Law Fact Sheets Get the facts about the Affordable Care Act with educational fact sheets from AARP’s department of Education & Outreach. Included are printable publications about the basics, the law and specific populations, provisions of the law, the law and Medicare, and information for small businesses. In Library Access: AARP Health Insurance home page. Consumer Reports: Health Care News and Articles Providing easy-to- understand comparative information to help consumers make the best decisions in the marketplace has been the mission of Consumer Reports for 76 years. Kaiser Family Foundation: Health Reform This website highlights resources examining Marketplaces and related issues. Kaiser is a nonprofit, private operating foundation focusing on the major health care issues facing the U.S., as well as the U.S. role in global health policy. It serves as a nonpartisan source of facts, information, analysis and journalism for policymakers, the media, the health care community, and the public. The Kaiser Family Foundation health insurance and savings calculator will give you a rough estimate of how much health insurance may cost. Wisconsin Department of Health Services This website provides resources: BadgerCare, Consumer Guide to Health Care, Find a Health Care Facility or Care Provider, Family Care, End of Life Planning, Paying for Health Care in Wisconsin, and additional Wisconsin specific resources!